How nice it is to be able to blog again but why the absence? The truth is that I have been just too busy to sit down and enjoy my tea for months now. My life has become a non stop rollercoaster ride of work and study which has been exhausting and there is little light at the end of the tunnel. My medical studies have really come along and I feel like I am finally getting somewhere. Today though is a day of rest, I have fought off illness and long days to have this solitary day sitting at home, giving me the chance to just relax and drink some fine tea. On my way to clinic in London's Harley Street I had a chance to pop by a place I had only ever visited on Sundays (when the doors are closed). Postcard Teas sits just off Oxford Street a couple of minutes walk from the Apple store. The shop feels more like an art gallery than a retail outlet with it's well thought out displays. There are many fine quality wares with equally fine quality prices too, not for the faint hearted. The owner is a very approachable chap and we had a good natter about tea, the weather in China this year and touched bases on people we both knew from the tea world. My time was short so I had to leave but I left feeling rather content and ready for my clinical challenges that waited for me. I also walked off with a couple of samples generously donated to me, 'You might as well just have these for free as you will like them and want more!'. 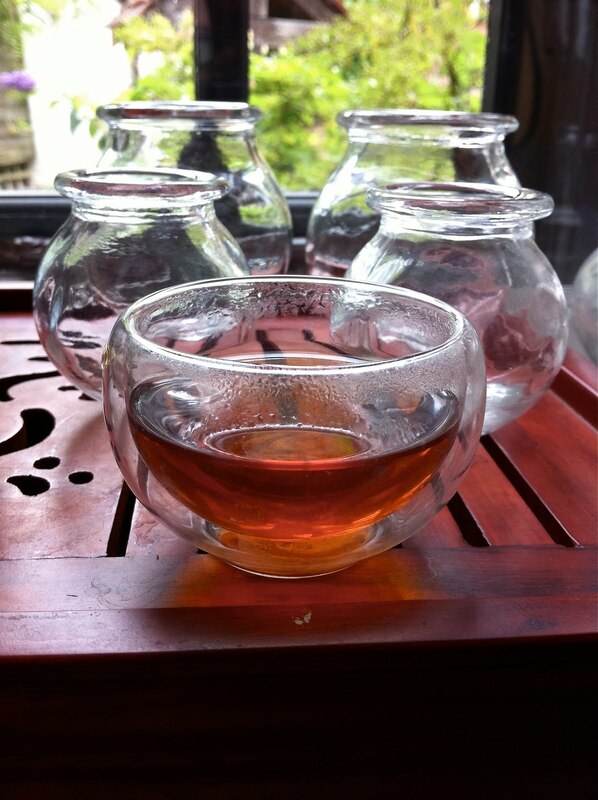 Both samples were from Wuyi Shan and today's tipple is a Shui Xian from 100 year old trees. I am an admitted numpty when it comes to yan cha, but I do remember having a chat with a good tea chum about these teas and he recommended that I gave Postcard Teas' yan cha a go. Instead of making notes as I drunk I decided to just sit back and enjoy myself. I wasn't let down by this tea either, it is most agreeable! It had all the usual yan cha goodness but the huigan really stood out as did the endurance of the leaf. This tea kept me captivated for a good hour (which is a long time for someone with the attention span of a small child! ).